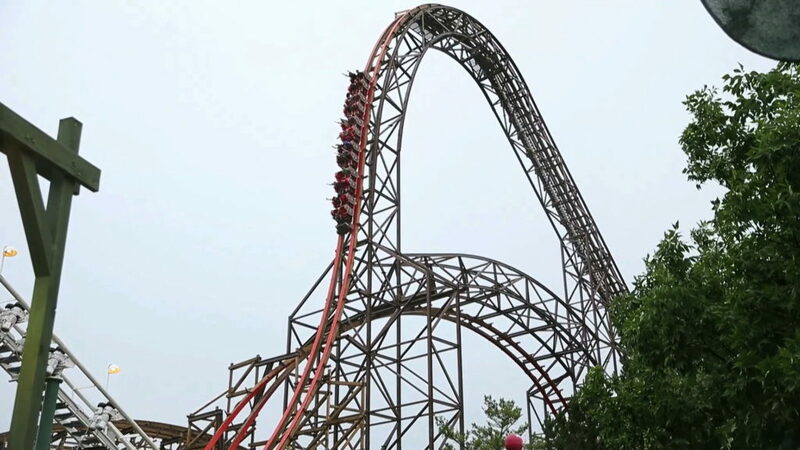 Goliath is a hypercoaster designed by the company Giovanola from Switzerland. 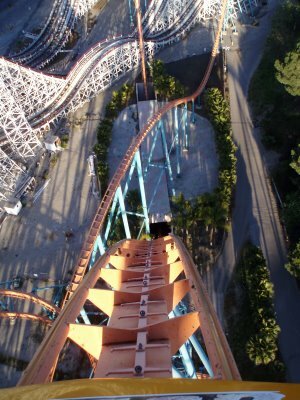 With a drop at the beginning of the ride from 255 feet, it was recognized as the longest and fastest coaster on a closed-circuit for a few months. At the bottom of the 1st drop you fly into a 120 foot long dark underground tunnel, reaching its top speed of 85 mph. The ride is themed with a sub-tropical look in ruins of the ancient Mayan civilization.